In March 2012 Seth Lakeman played with the BBC Concert Orchestra at the Plymouth Pavilions. This five track EP features recordings from that show. The songs chosen are some of his best known songs and are taken from four of his albums including his current album, "Tales from the Barrel House". 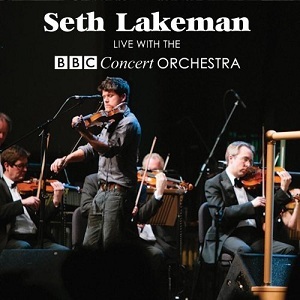 It's an interesting combination - Seth Lakemans folky songs with an orchestra, and one I wasn't sure how it would work, but it really has worked extremely well. The vocals are still the centre of attention, but the orchestra really adds a very rich full sound behind the vocals which really works well and at no point overpowers the vocals. Having heard how well this has turned out I can imagine Seth Lakeman wanting to work with an orchestra again in the future. An excellent EP that's definitely recommended. "Live with the BBC concert orchestra" is out on 3rd December 2012 via Proper Records.